People usually have a misconception that headbands are meant to be worn just by little girls. But this is extremely untrue! Headbands are hair accessories which can hide your dull hair on a bad hair day experienced by you. These are a must-have for all the girls out there as headbands can be worn in so many funky ways, that too with any boring-looking headband that you own! So girls get ready to look fresh and chic with the following techniques of experimenting with the headbands that you own in so many gorgeous ways! TECHNIQUE NO. 1: DRESS UP YOUR HAIR TECHNIQUE! For this super funky hairstyle, keep your tresses loose in long waves around your shoulder and place your headband on top of your beautiful waves (including your adorable bangs!) to get this messy yet gorgeous look! This is the season of wearing these beautifully braided headbands over your equally beautiful tress! Sparkle up your hair by keeping your hair tied in a ponytail, bun or even a sophisticated chignon with a dash of this oh-so-adorable braided headband. 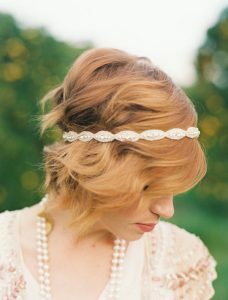 Make sure your headband sparkles as well as it is the key for looking oh-so gorgeous and elegant! TECHNIQUE NO. 3: BOHEMIAN STYLE HEADBAND TECHNIQUE! This Bohemian style chic look is a must have for all the adorable girls out there and so easy to achieve too! All you would need is a simple yet elegant lace band. All you would need to do is adjust this headband over your tresses. Divide your hair into few sections and start tucking these sections into the lace headband one at a time. Keep rolling it into the headband until you are satisfied with the size you get all around in the end. And Voila! You are done with this beautiful technique. 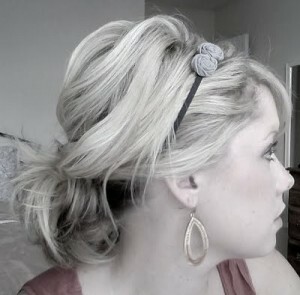 Girls run about teaming up their ponytail with a cute little headband and end up looking dull and monotonous! Here is a way of looking cute and adorable by wearing your headband in such a way that you end up looking like a diva. Firstly put the headband directly over your head and only then gather up your hair in a ponytail (low placed). To look more funky, take out few strands of your hair over your ears, which you can tuck behind your ears whenever you wish! This Boho technique of wearing a hairband is new and totally in! Simply create a middle parting down your hair and put your headband right over the top portion of your head! Wasn’t that easy to do? Have fun looking chic! Look glamorous by adopting this gorgeous technique of wearing a headband, inspired by equally gorgeous Charlize Theron! Separate one section of your hair from top of your head, spritz it with hairspray backcomb it. Now use curling iron to curl to curl this section of your hair until you get a good curl. Now simply secure this curl with a pin. Repeat this step with all the sections of your hair. You should pin your curls so that they stay at one place and set as they cool down. Loosen the curls now and run your fingers through your tress to lose the curls. Gather rest of your hair over one shoulder and secure it in a ponytail. You can make a disheveled bun out of your ponytail. Now place your gorgeous headband right on top of your head. Get transformed into a diva! Get yourself a cool looking headband (knotted) and look instantly as enchanting as Queen Cleopatra! Gather behind your hair and make a disheveled bun. Put this headband right in front of your head (a little above your temple). To add more glitz to your gorgeous look, go for outrageously funky makeup! Nothing can be compared to wearing a headband in a classical way! Just gather behind your head your adorable loose and beachy waves and simply put an embellished headband right on top of your beautiful head. Embellished headbands can comprise of sparkles, colorful stones carved into your headband. Go for this look and be the belle of the ball because nothings beats sheer simplicity and grace. 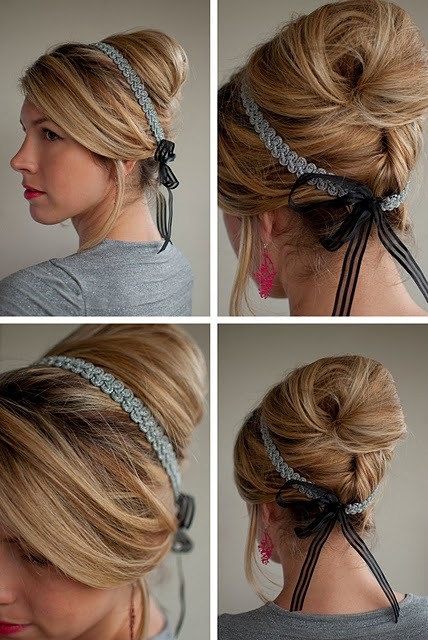 Look pretty by styling your hair into beehive. Create a graceful beehive and then simply put a lace headband over your head inclining more towards your beehive hairdo. You can even tie a cute ribbon at the end of your lace headband and fashion it into an adorable little bow at the base of your nape! Want to look as sacred and beautiful as a Greek Goddess? Then this technique is totally made for you! Take a handful of hair and keep it in the front, framing your face. Gather the rest of the hair behind your head and loosely secure them with pins. Make sure the hair at the front is only a little wavy. 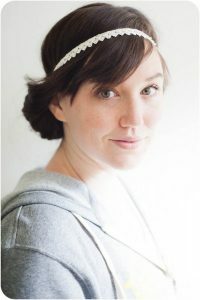 Now place your adorable Grecian style headband directly over your head. With the beautiful headband adorning your hair and those teasing strands framing your face, you would look nothing less than a graceful Greek Goddess! 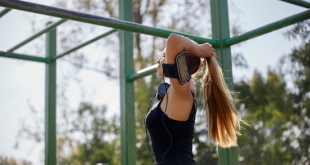 So now that you girls are armed with all the crucial do’s and dont’s as well as various techniques and methods you can adopt to make your hair look more lively and fresh with headbands, what are you all waiting for? Go ahead and try out all these innovative techniques. Now never be monotonous in your look ever again. 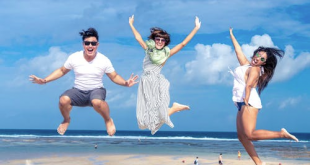 Sport each technique for each day, never repeating anything again and again! Bring out the divas inside you, commence experimenting with your looks, hairstyles and leave behind you a glimmering trail of chicness wherever you go!